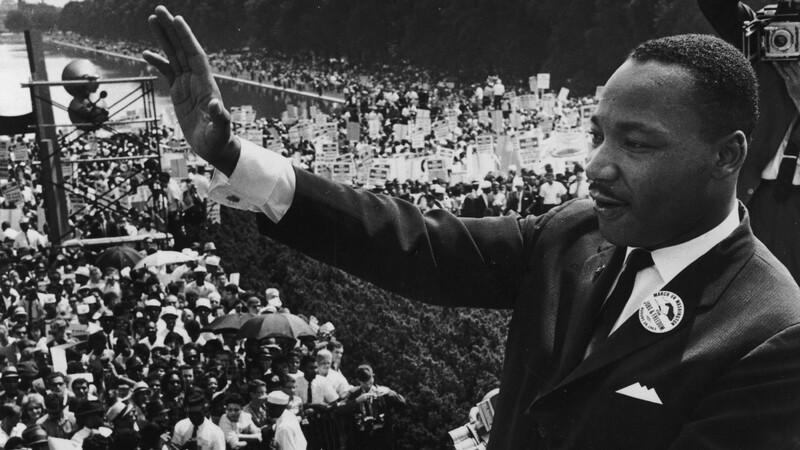 The life and legacy of Dr. Martin Luther King Jr. provides some of the images and messages most cherished in what could be called America’s collective soul. Proclaiming The Dream in Washington, marching in interfaith unity in Selma, and promising a better future from the top of the Mountain, hours before he was struck down, murdered by the hate he would be credited with bringing to an end. A man who inscribed his words on the parchment of American history and was carved in stone where only monuments to the nation’s founders and pillars stand. A man who became a myth. A myth, not because there is something untrue about Dr. King’s impact on our nation, but because his image as a dreamer, acting above the fray, valuing unity above all, is untrue. He and others who reshaped the racial dynamics of the United States worked tirelessly to fight the deadly and deep-seated racism the vast majority had no desire to disrupt. His words were a clarion call, not to dream, but to wake up. He excoriated allies that urged moderation more than other movements that acted more radically. He was immersed, not only in the works of Gandhi and the Bible, but also the Communist Manifesto. He railed against capitalist values and the Vietnam War. Leaving out this part of the man is what turns him into a myth and implies that he would have been satisfied… that the Civil Rights movement was enough to free the entire country from racial injustice, leaving us only to stay on his well-paved path and tell old stories of how it used to be when people were judged by the color of their skin and not by that universal standard of their character. There are many very serious ways that this mythology impacts the reality of how people are marginalized, especially how black people in the United States are judged and treated on a daily basis. The stakes are high for anyone whose body and well-being are threatened by these prejudices. I was struck the other day by a much smaller, yet telling mythological moment. The Best Picture at the Golden Globes. This year saw nominations for several movies whose main theme highlights a particular aspect of the black experience. Three of them were in the running to win best picture – The Green Book, If Beale Street could Talk, and Black Panther. Each very well received in its own way. The winner was The Green Book which told a story of a black musician, sophisticated and well heeled, and his driver, a more working class, less cultured guy. They save each other in their own way. The fact that this story has been done before in lots of ways doesn’t mean the movie can’t be very well done. It’s just that its message goes down easy for a lot of people. Makes the myth seem more real. The two movies that did not win could not be more different. If Beale Street Could Talk emerges out of a novel by the irreplaceable James Baldwin, the author of some of the most searingly true words written about the lives of black people and those who hold to the supremacy of being white. The movie stares without blinking at the persistence of racism and its human costs. Black Panther, though framed in a Marvel Superhero movie, is a fantasy built on a deep dive into a world untouched by colonialism, a fully expressed vision of the kind of Afrofuturism that renders white supremacy not only impotent, but irrelevant. A different dream come true, not colorless, but black. Both of these films are more disruptive than The Green Book, even if Black Panther was a megahit across all audiences. One award, not even the most prestigious, doesn’t prove anything, but it does help to highlight the attractiveness of the myth. And it is the myth itself, the complacency and complicity it inspires, that has much more serious consequences than who takes home a prize. The day set aside to, at the very least, appreciate the legacy of Dr. Martin Luther King Jr. should be a day of looking for ways to chip away at the myth, rather than reinforce it. Because while Dr. King did in fact labor for a world where one would not he judged by the color of their skin, he had no illusions that that world could be achieved by the character of the content.